From salons to stadiums, a brief look at how catwalks evolved into the social media spectacles that we know them as today. Once upon a time, in a world without iPhones or Kardashians, fashion shows were nothing more than small-scale marketing vehicles used to entice wealthy clients into buying a couturier’s latest designs. Today, the purpose of hosting high-budget fashion shows is a little bit less clear: Is it for profit? Is it for art? Is it for social media? Should the clothing shown be sold the moment it hits the runway, as Burberry&apos;s will on Monday, or six months later? But, one thing is for certain: fashion designers have always been keen on veiling the commercial intentions of fashion shows with dazzling theatrics and glamorous settings, which seem to get more extravagant (and Instagrammable) each season. 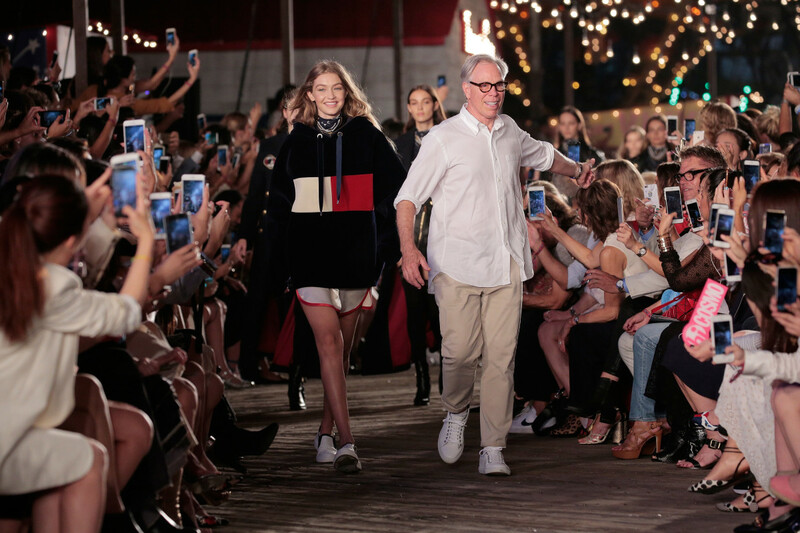 In an attempt to better understand fashion’s longtime love affair with the runway, we’ve decided to take a quick look back at how catwalks evolved into the social media spectacles that we know them as today. By 1918, due to an increasing amount of foreign buyers coming to Europe to view the latest styles, couture houses started to hold their fashion shows on fixed dates, two times a year, forming the basis of what we call "fashion week" today. 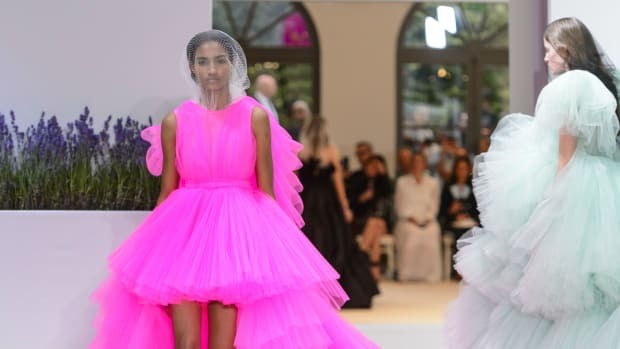 The first organized couture shows attempted to highly regulate guests for the purpose of maintaining an air of exclusivity for their clients, while also attempting to limit the unavoidable plague of design piracy by foreign dress manufacturers. Throughout the 1910s, it also became increasingly popular for American department stores to host their own fashion parades and charity fashion shows, which would become even more common once European couture salons were forced to temporarily shut their doors during WWII. By the 1980s, fashion shows had become so hugely popular that Thierry Mugler was able to stage a colossal catwalk spectacular in 1984 at the Zénith stadium in Paris. Allowing half of the tickets to be sold to the open public, the show was presented to an audience of 6,000 people. 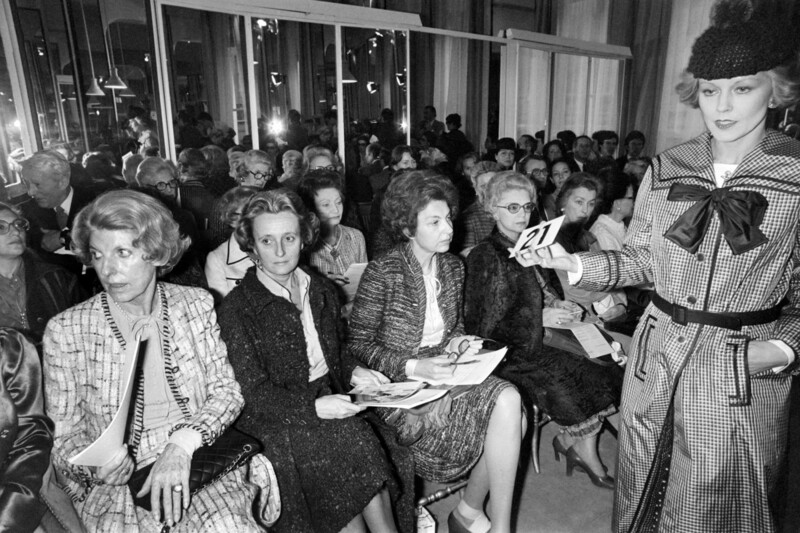 Other designers have taken their catwalk shows to similar extremes, including Yves Saint Laurent. 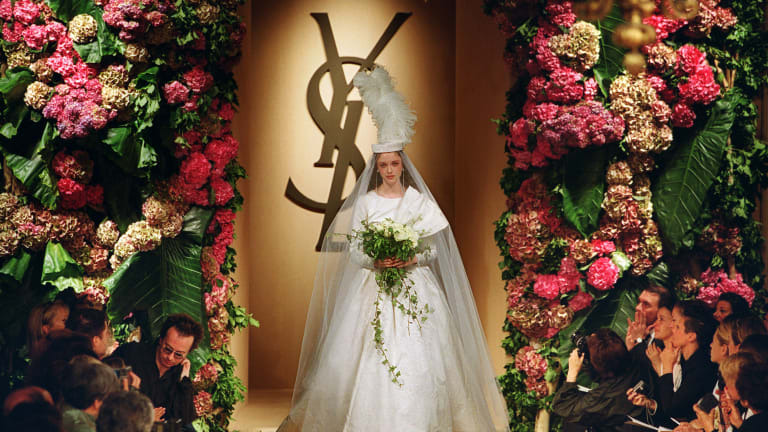 In 1998, the French designer presented a retrospective couture collection after the World Cup Final in Paris in front of a packed stadium and an estimated 1 billion television spectators. 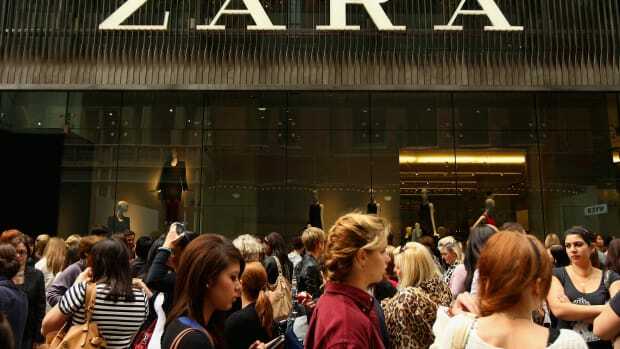 By the time Carrie Bradshaw got labeled "fashion roadkill" in 2001, the term “catwalk” had become widely used in America and synonymous with fashion and glamour, thanks in part to the organization of New York Fashion Week in Bryant Park in spring 1994 and the birth of runway’s biggest spectacle, the Victoria’s Secret Fashion Show, in August 1995. Of course, some of the biggest changes to catwalks over the past four decades have been caused by the models that walk them. 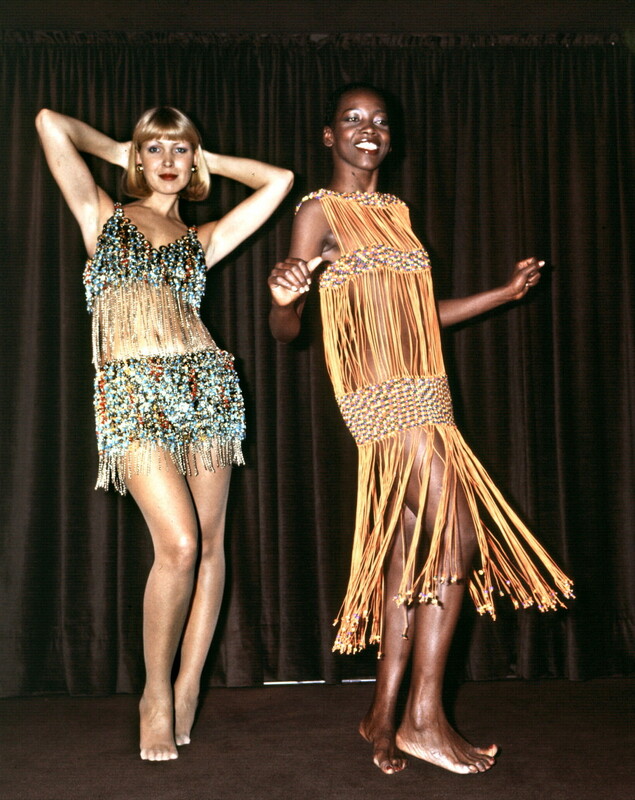 The subdued "mannequins" employed by traditional couture salons appear antiquated in comparison to the charismatic runway models of the 1970s, like Jerry Hall and Pat Cleveland. Perhaps the biggest model runway moment came in March of 1991, when Gianni Versace sent Naomi Campbell, Christy Turlington, Linda Evangelista and Cindy Crawford down the runway together lip-synching George Michael’s “Freedom”. Few designers have excelled in catwalk theatrics like the late and great Alexander McQueen, known for turning his runways into human chessboards and high-powered wind tunnels. 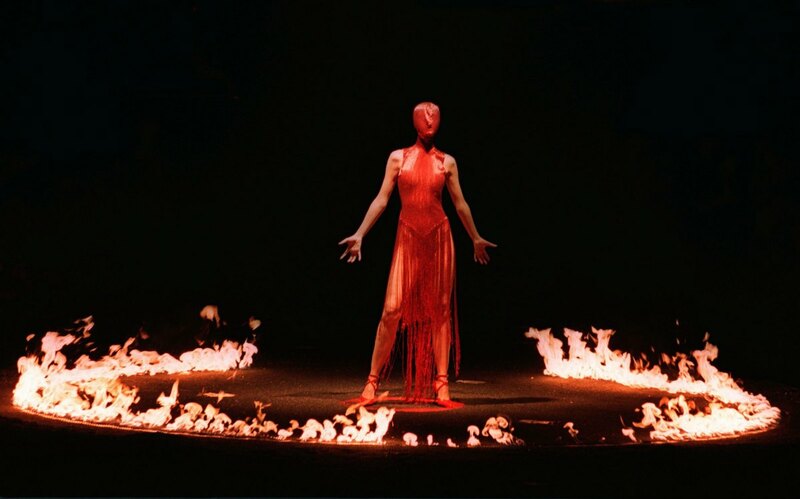 For his fall 1998 collection, McQueen concluded his show with a masked model in a blood red dress, surrounded by a ring of fire signifying Joan of Arc, whom the collection was named after. McQueen’s presentations straddled the line between fashion shows and performance pieces, sparking the age-old debate on whether theatrical runway shows should be considered art or commerce. There’s certainly no shortage of theatrical runway shows these days, with step team performances, immersive carnivals, and enough Kanye drama to take over an island. Although numerous designers have placed catwalks in exotic locations and radical settings, Karl Lagerfeld is the perhaps the designer who has continued to take his runway shows to levels that would have made Mademoiselle Chanel’s head spin. In the past three years alone, Lagerfeld has displayed his Chanel collections in grandiose sets designed to look like surreal brasseries, airport terminals and supermarkets, blurring the line between catwalk and everyday life. 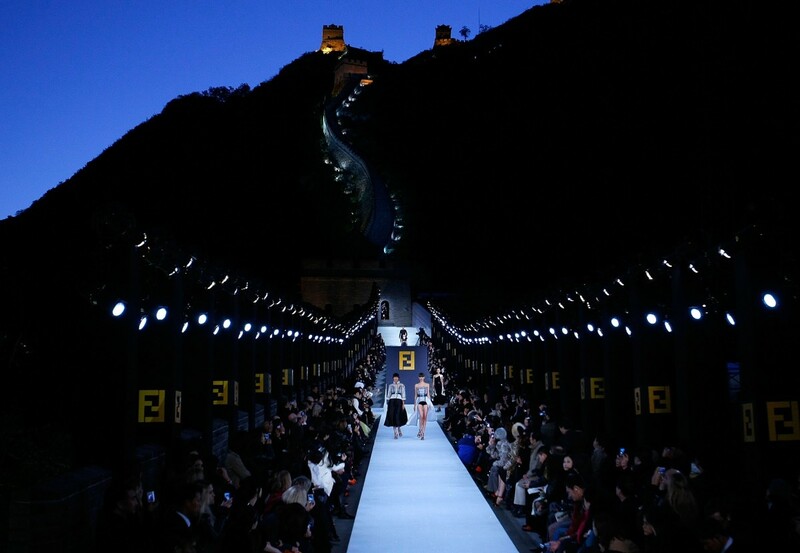 However, his true tour de force may have been the time that he turned the Great Wall of China into a runway for Fendi in 2007, flying in 500 VIP guests to witness the monumental (no pun intended) event. Although more and more fashion brands appear to be ditching the standard runway show formula in favor of informal presentations, it doesn’t seem like the mighty catwalk will disappear anytime soon. Even if these high-budget shows fail to sell actual clothing, they’re capable of raising enough brand awareness to stimulate sales in profitable merchandise, such as sunglasses, bags, and perfume. That being said, it’s hard to deny that catwalks still possess a magical power that transforms clothing into desirable fashion. 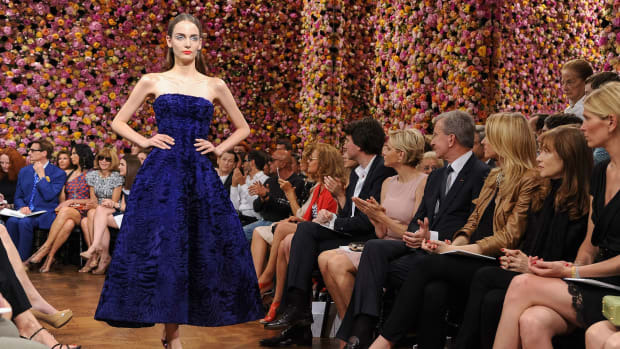 No matter how outdated and unnecessary they may seem, the allure of runway shows simply can’t be replicated. Breward, Christopher. Oxford History of Art: Fashion. Oxford: Oxford University Press, 2003. Evans, Caroline. “The Enchanted Spectacle.” Fashion Theory, 5:3 (2001): 271-310. Mendes, Valerie and Amy De La Haye. Fashion Since 1900. London: Thames & Hudson, 2010. Steele, Valerie (ed.). Encyclopedia of Clothing and Fashion. New York: Charles Scribners & Sons, 2004. From the early 1900s to now, this semi-formal style has survived the flapper era, prohibition, '90s minimalism and much more.